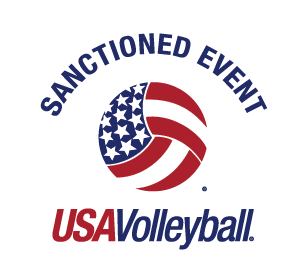 MEQ will be using Advanced Event Systems for its registration process. AES will be the website that is the choice of USA JNC Girls Championship, many other qualifiers (including MEQ) and regional tournaments around the nation for registering teams. Click on Staff, then "Add New Staff." Enter the information, and hit the submit button. Click on Players, then "Add New Players." Enter the information, and hit the submit button. Repeat for all players. Click on your new team, and then on "Add/Update Staff." Click on "Add New Staff" and choose from the pull down list the available names and hit submit. Go back to "Teams," click on the selected team, and then on "Add/Update Team Players." Choose from the pull down list of available names and hit submit. Continue until all team players are added. Click on "Enter Events." Hit the "Register" button for the weekend of MEQ that you are wanting to play. Select the division from the pull down list that you wish to enter your team and click on "Register Teams." Contact AES Housing at 1-800-476-0060 x18 for rooms to ensure that you meet the Stay to Play requirement of 12 room nights per team. The Capitol Sports Center staff will send out broadcast emails to inform you of other information and steps as they come available. The checks and registration form can be sent to Capitol Sports Center, 1915 Gladden Road, Plainfield, Indiana, 46168. Within the MEQ there are numerous tournaments. These tournaments are the following divisions: Open, National (12& Under Only), USA, & American. These divisions are then divided into tournaments by age group (18, 17, 16, 15, 14, 13, 12). All tournaments are for girl's teams. This tournament is limited to 128 teams. One bid is available to the National Division of the 2019 Mideast Qualifier provided 8 teams enter this tournament. These tournaments are limited to 128 teams per group. One bid per tournament is available to the American Division of the 2019 Mideast Qualifier provided 8 teams enter each tournament. If either field size of the 12 & under National and American Divisions does not meet the above minimums then the divisions will be combined and called the National Division. If this combined National Division has 16 or more teams, then it will retain both bids with the first bid going to the National Division at YJNC and 2nd bid going to the American division at YJNC. IF the combined National Division has less than 16 teams, then it will receive one bid for the National Divsion at YJNC provided 8 teams are entered in the combined National Division. Select Divisions are NON-bid divisions and are comparable to the American level of play. The Select Division does, however, allow for foreign teams as well as waivered players. NOTE - A cash deposit is no longer necessary to enter in Open tournaments at Qualifiers. In the case of an open team obtaining a bid to the JNC but does not use the bid, the team's club, director and coach(es) will not be allowed participation in any Qualifier for the 2019 season. Entries for the MEQ must be received by 5pm EST on February 15th, 2019. ABSOLUTELY NO REFUNDS WILL BE GIVEN AFTER THE ENTRY DEADLINE or after a division fills. Date that the completed entry application is received by the Qualifier. This includes being registered on AES, payment being received by Capitol Sports Center, and the housing requirement being fulfilled on AES (This INCLUDES having individual rooms picked up within the block and attributed to appropriate teams). All teams should be prepared to play at 8 am local time on Friday, March 15th or Friday, March 22nd. Actual start times will be communicated after the entry deadline. All competition is projected to be completed by 4:00 PM on the final day. Required team check-in will run from 3-9:30 PM local time on the Thursday, March 14th or Thursday, March 21st. Sites of the meetings will be at the Americas Center (St. Louis)/Indiana Convention Center(Indy). All formats and seeding will be as designated by the YJND Competition Committee. No outside food, coolers, noise makers, music amplifiers, chairs, or unapproved signs are allowed in the facility. Tickets are $10 daily and $25 for a 3 day pass. They can be bought in the pro shop on the day proceeding the event and in room 120 (St. Louis) or 139/140 (Indy). Cash or credit is accepted. No ball handling is allowed in the halls or on the concrete. Bags should not be left unattended in the hallways as security will confiscate them. Court time can be had at the convention center on the day proceeding the event from 3-9 PM for $20 per team. Please go to the tournament desk and we will assign your court once your team is present and ready to play. Trainers are in room 116 (St. Louis) or Hall C in the Annex (Indy). Indianapolis courts 1-103 can be entered via Hall F and are in the main halls. Courts 104-127 are in Lucas Oil Stadium and can only be entered via the Capitol Ave walkway in the convention center. Pro Shop will be open from 3-8 PM on Thursday night if you want to get in before the rush for tournament apparel. Up referees will be supplied for all matches. Teams will be required to supply down referees, line judges and scorekeepers. Down officials for all ages need to be rostered adults. As in the case with the Junior National Championships, everyone listed on a roster as a coach is required to be IMPACT level and SafeSport certified. To obtain information on becoming properly certified, contact the junior rep of your region. This year MEQ will be charging an entry fee for all non-players and non-coaches. Tickets can be bought Thursday - Sunday at the rate of $10 a day or $25 for a 3-day pass. We will start selling bracelets on the day before the event from 5:00pm - 8:30pm. Admission will then again be open at 7:00am on the first day of the event. "Lost" bracelets will not be replaced. We will replace damaged bracelets if needed. There will be security guards at the entrance and each hall and you will need to have the bracelet around your wrist to enter. Required pre-tournament check-in will take place at the America's Center from 3-9:30 PM local time on Thursday, March 14, 2019 for Week 1 and from 3-9:30 PM local time on Thursday, March 21, 2019 at the Indianapolis Convention Center for Week 2. Please makes sure you have all of your players USAV numbers and medical release forms at check in. All teams MUST be checked in before playing and there will be no check-in the morning that play begins. The Mid•East Qualifier this year is happy to announce its implementation of the Stay to Play and Save policy. Although, this policy has been highly controversial in the volleyball community, it has become necessary to help combat hotels driving prices higher and higher. Over the years, we have had anywhere between 80 and 90 percent of our participants using rooms from the AES list. Unfortunately, as our tournament has grown, rates for downtown hotels have risen to astronomical prices. The best defense we have against these high prices, is to go to the Stay to Play and Save Policy. Call us at 1-800-476-0060 ext 118 and we will help you with our personable and helpful staff led by Kristine and Chris. First and foremost, hotel prices have been driven down. We have seen dramatic decreases for our downtown hotels as well. View an on-line list of colleges who registered for the 2018 girl's tournament via the University Athlete website. Keep in mind that this list may stay small until closer to the event. OVER 425 Colleges attended the 2019 Mid-East Qualifier. Clink the links below to see which colleges attended each weekend. Gate Ten Events & Parking is 100 feet south of Lucas Oil Stadium. Our prime parking location and events facility is located in the “heart” of the Indianapolis action. We have space for over 700 vehicles and offer a FLAT RATE daily parking fee, with entry and exit privileges. Overnight parking is included in daily rate. The Go Green Airport Shuttle is the express Indianapolis Airport shuttle serving Downtown Indianapolis. Our most popular stops serve Lucas Oil Stadium, The Convention Center, and The Marriott Complex (JW Marriott). The shuttle operates from 8:00 am to 11:00 pm 7 days a week. It’s just $10.00 one-way! Priority is given to online reservations. We strongly recommend you book a round trip reservation online so you won’t have to wait for the next bus! At the airport, Cash and Major Credit Cards are accepted but walkups may have to wait for the next shuttle. Open to female players 8th grade and older, who have the desire and potential to be NCAA Division I athletes. This is a VIDEO Combine. All players/drills/skills will be filmed and recorded. The video, along with player contact info will be sent to every NCAA Division I volleyball program. The MEQ Recruiting Combine will be held at the Indianapolis Convention Center and is open to any high school age player, regardless if they are participating in the MEQ National Qualifier or not. The MEQ Recruiting Combine will have two waves to choose from and will be promoted to every NCAA Division I team in the country. In addition, we will promote the Combine to every NCAA Division II, Division III, NAIA and Junior College Volleyball in the Midwest and East coast regions. For more info about the SIDEOUT Foundation click here.